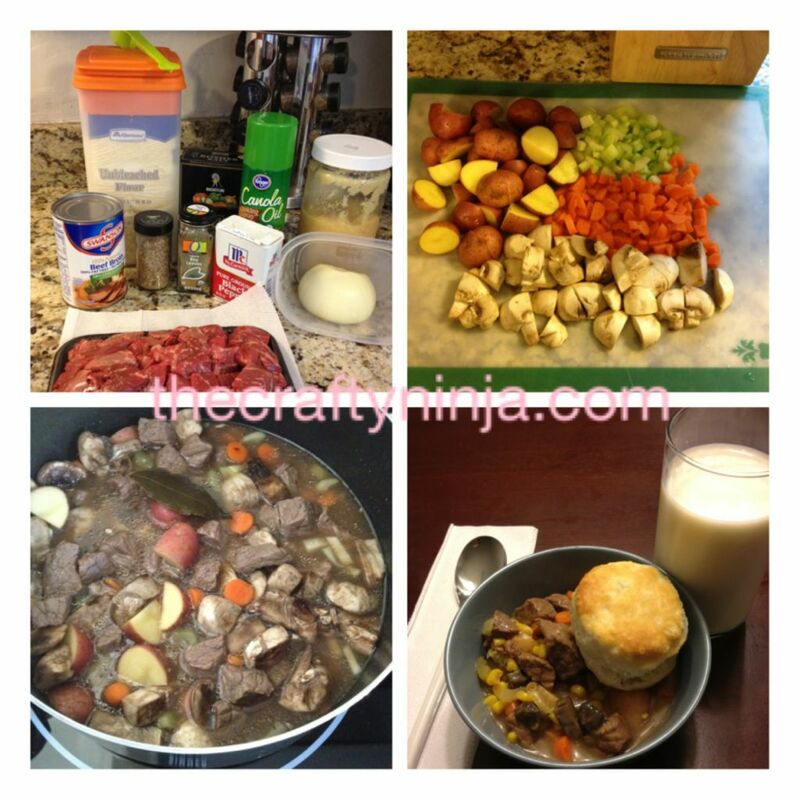 In this cold winter weather nothing warms the soul like beef stew that’s been stewing for hours. Vegetable cooking spray, 1 lb Beef for stew, 3/4 cups of Swanson beef broth, 1 Bay leaf, 1 tsp. Salt, 1/2 tsp. Crushed dried thyme leaves, 1/8 tsp. Ground black pepper, Onion, 1 tbsp. Garlic, 1 medium Carrot, 2 medium Potatoes, 1 can of Corn, 1 Celery, Mushrooms, 2 tbsp. All purpose flour, and 1/4 cup of Water. 1. Spray large sauce pot with cooking spray and heat over Medium-High for 1 minute. Add Onion and chopped Garlic to saute the Beef and cook until well browned, stir often. 2. Add Broth, Bay leaf, Thyme, and Black pepper. Heat until boil and reduce heat to low. Cook for 2 hours. 3. Add in chopped Vegetables: Carrots, Potatoes, Corn, Celery, Mushrooms. Cook for another 1 hour or until the vegetables are tender. 4. Stir in flour and water in a cup and mix together. Stir the mixture into sauce pot and cook until boils. Throw away the bay leaf and serve with a warm biscuit.